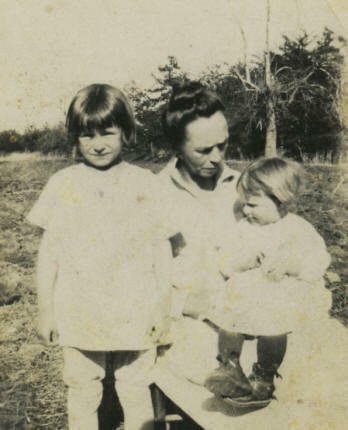 Mary Helen Goble was the eighth child born to Martin Luther Goble and Beulah Vernesta Johnson. 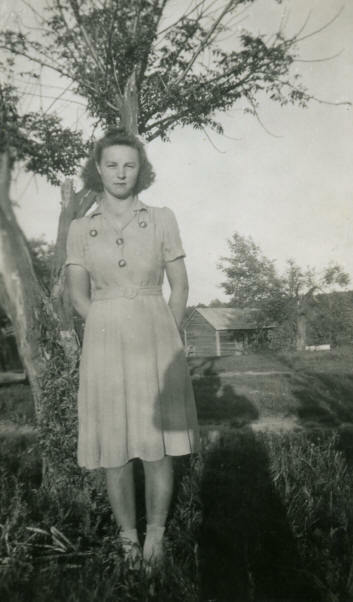 Helen was born 07 Apr 1924 in Iredell County, NC. 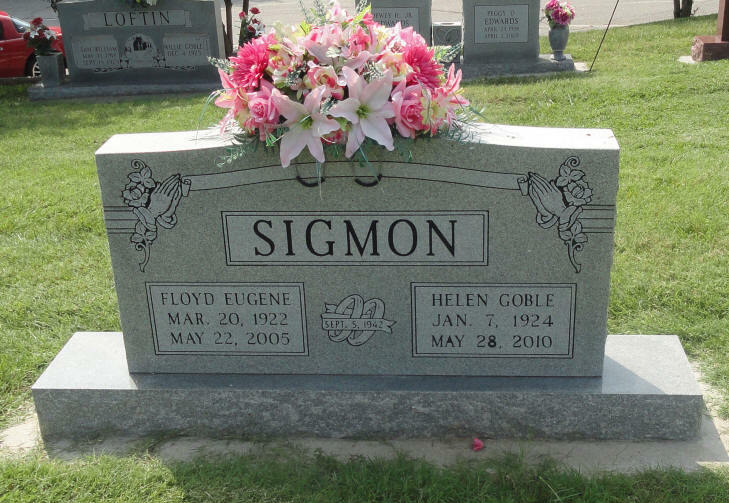 Helen married Floyd Eugene Sigmon on 05 Sep 1942. 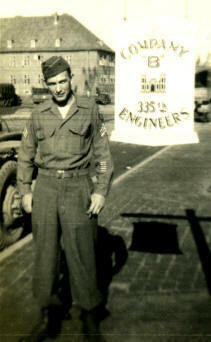 Floyd was born 20 Mar 1922 in Catawba County, NC. 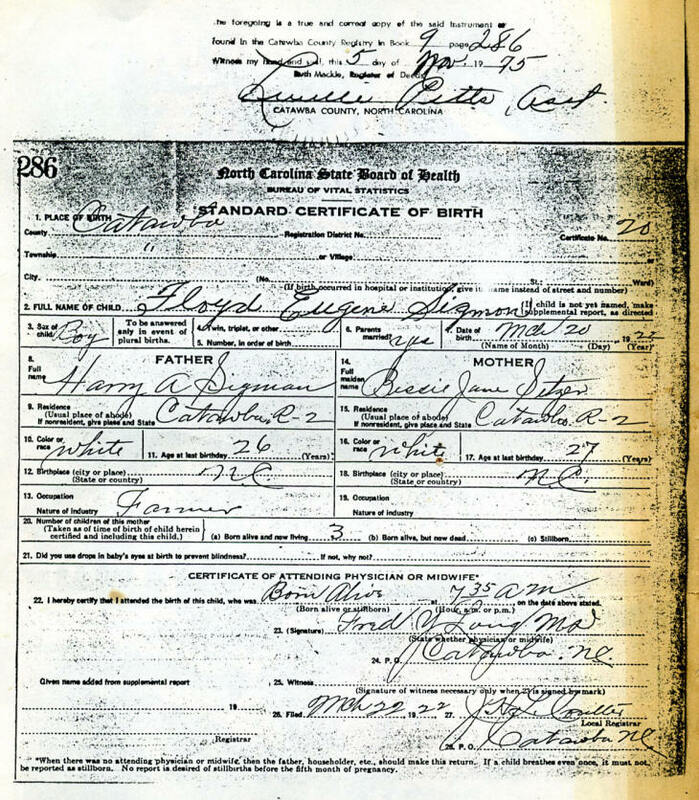 His parents were Harry A. Sigmon and Bessie Jane Setzer. 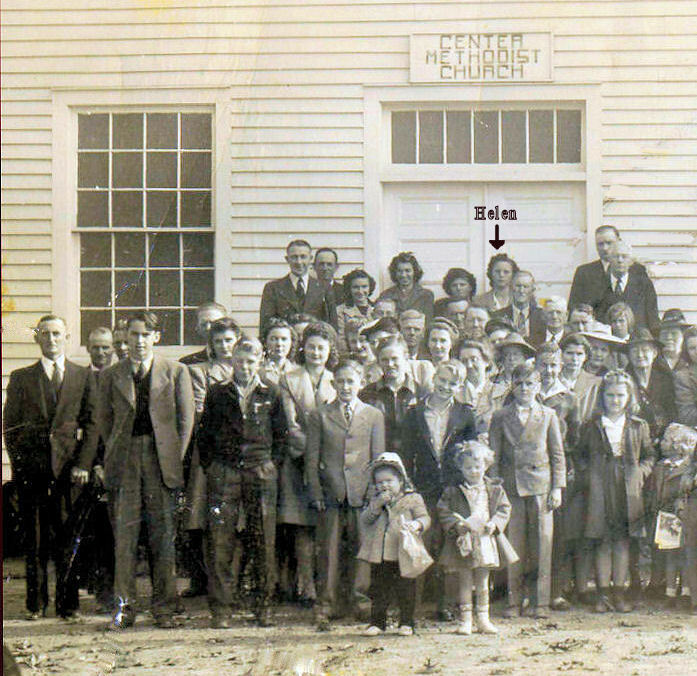 Helen and Floyd attended Center Methodist Church when they were first married. 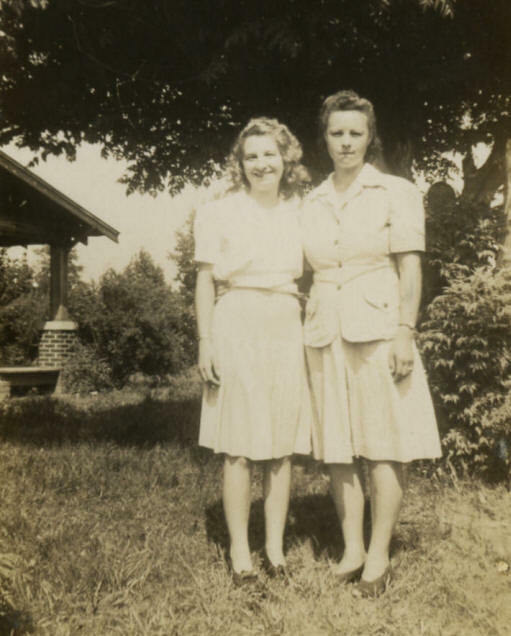 Helen standing beside of her sister, Elgevia. 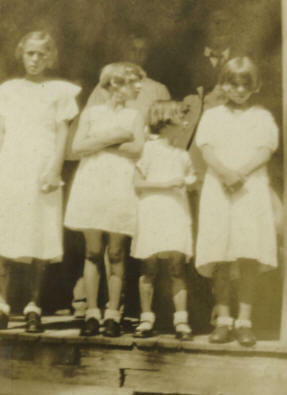 Helen and Floyd had three children but none of them lived beyond 7 years. 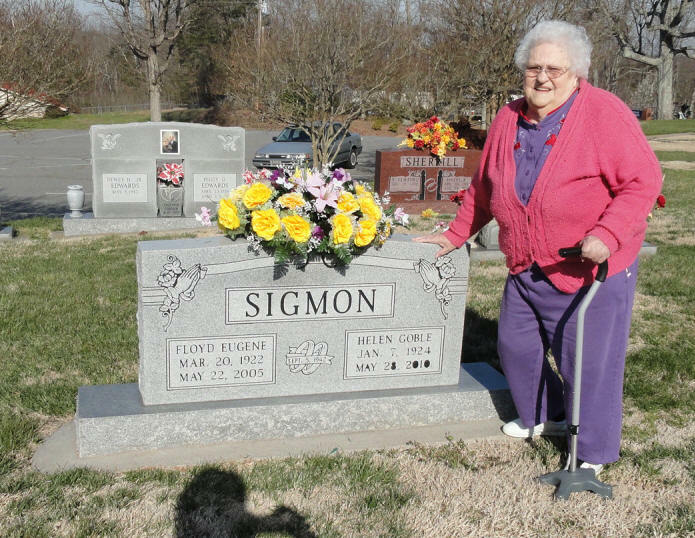 Wonda Christine Sigmon was the first child born to Floyd and Helen. 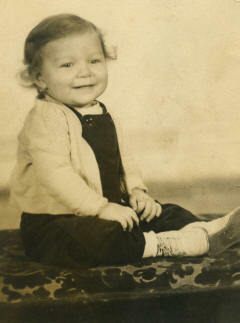 Wonda was born on 16 Nov 1946, but shortly after turning 3-weeks-old, her parents found that Wonda had died during the night. 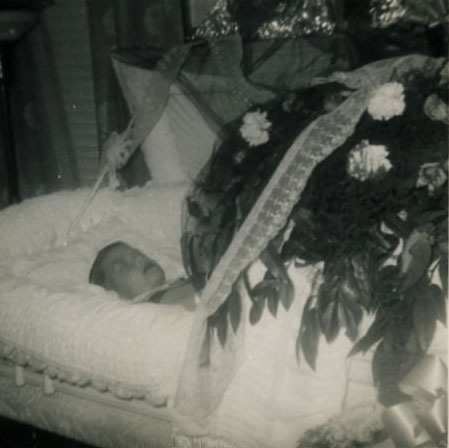 The medical examiner stated on Wonda's Death Certificate, "Baby was found dead in bed. 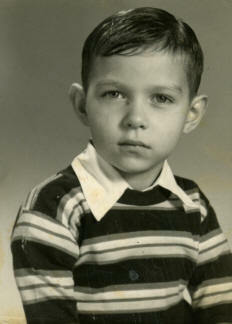 I have no idea what killed this child - could have smothered)". 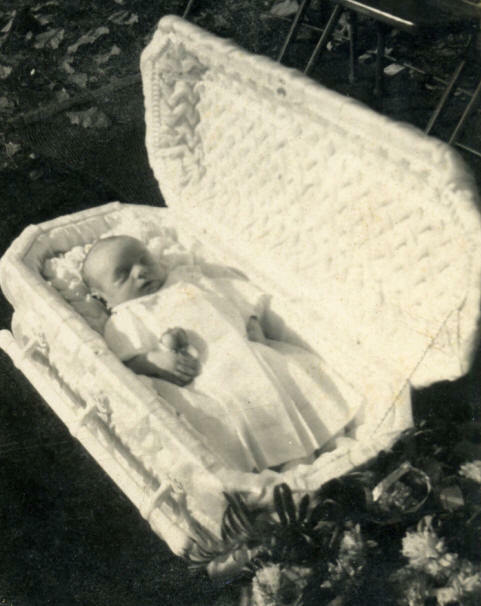 The time of death was 3:50 a.m. Today, we call this type of crib death, Sudden Infant Death Syndrome or SIDS. 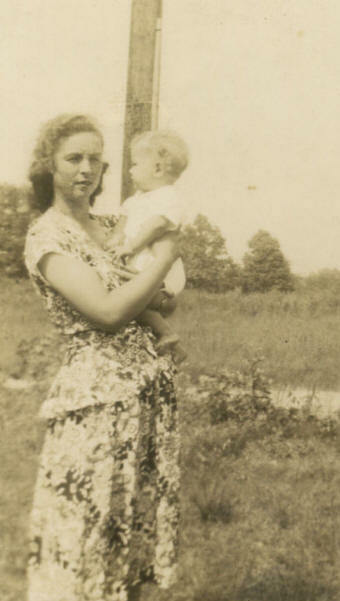 Wonda was Floyd and Helen's first child, and in less than a year they would have a set of twin boys. But the family tragedy doesn't end here. 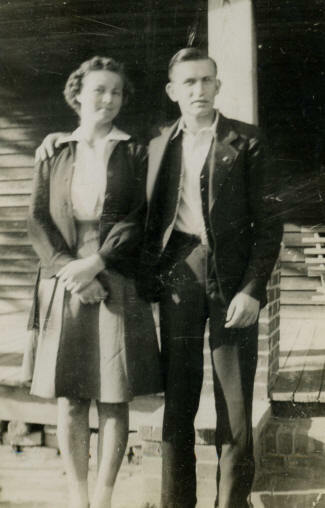 Larry Eugene Sigmon and Harry Everette Sigmon were the next children born to Floyd and Helen. 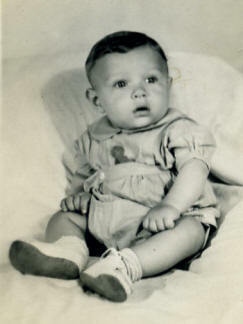 The twin boys were born on 06 Oct 1947 - just 10 months after the death of Wonda. 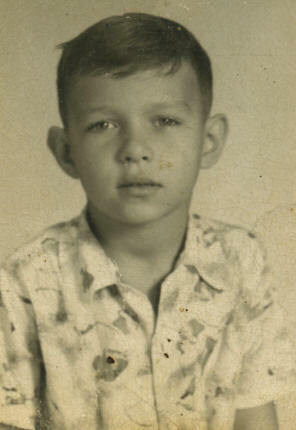 When Larry was just 3 months old, he became ill and his parents had to take him to the old hospital in Newton, NC. He was there only one day when he died around 7:00 p.m. in the evening. 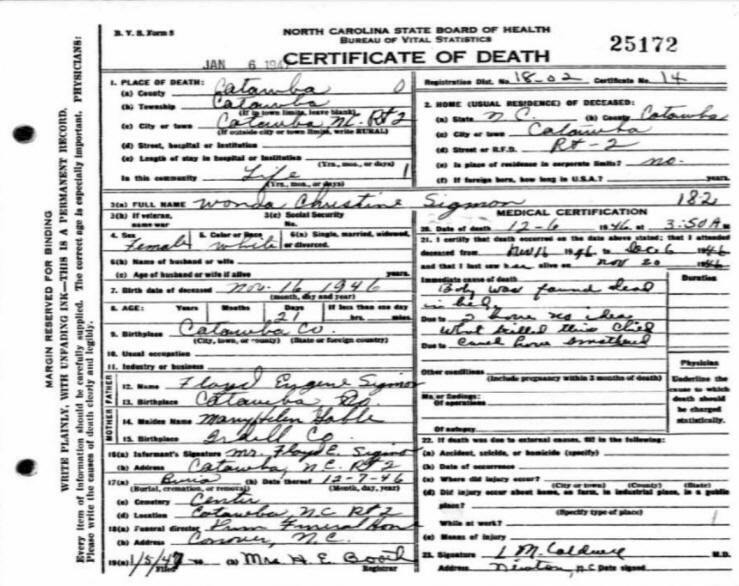 I (Curits) had long heard that he died from whooping cough, but his Death Certificate lists his cause of death as "Gastrointestinal Infant - Probably a Toxemia". There appears to have been a problem with Larry's stomach or intestinal track. 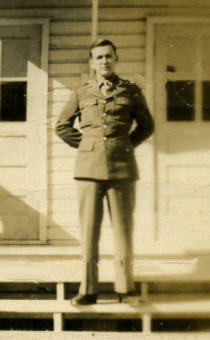 Harry Everette Sigmon, the last of Floyd & Helen's children, grew as the years passed. But the old saying that misfortunes come in threes definitely came true concerning the Sigmon children. 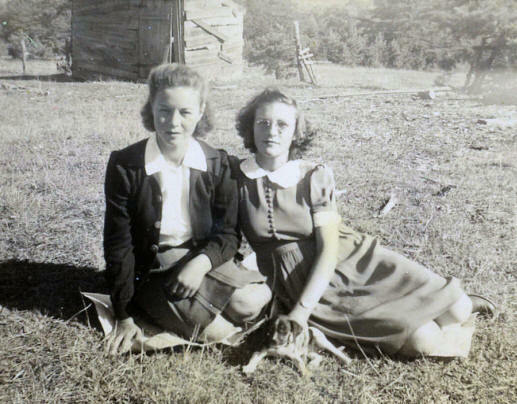 While Harry was at school on the morning of Friday, O8 Apr 1955, Helen and her sister Willie had spent the morning waxing Helen's floors and then had gone over to Willie's house to wax Willie's floors, too. 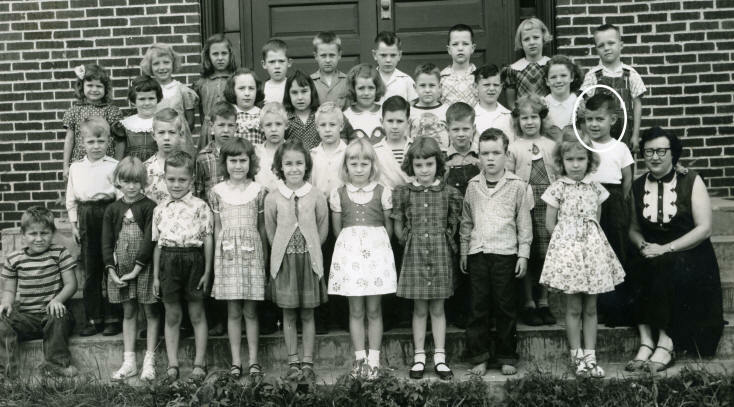 Helen made sure that she was at home when Harry got out of school that afternoon. While Helen was fixing supper, Harry and his cousin Steve Sigmon, from across the street, went up into the woods to play. Steve eventually went home but when Harry didn't come home for supper, they went to check on him and found that he had accidentally hanged himself. 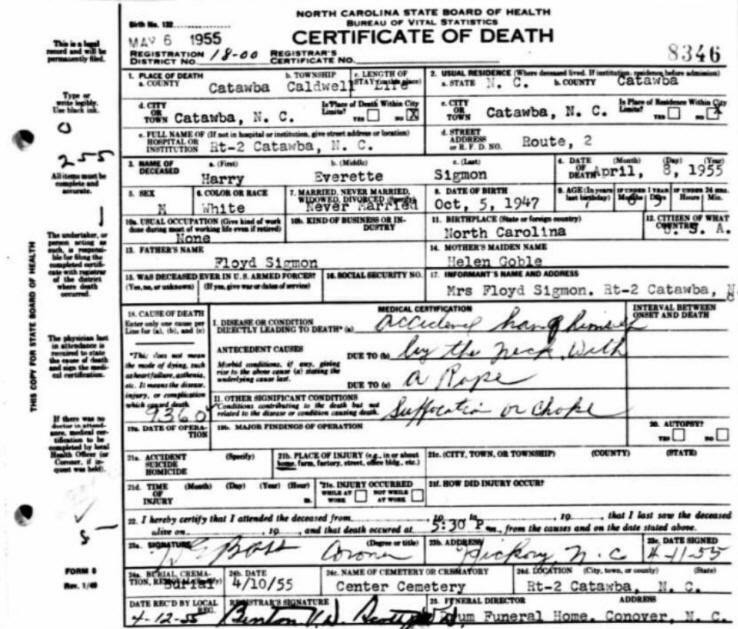 Harry's Death Certificate says, "Accidentally Hanged himself by the neck with a rope - suffocation or choke". 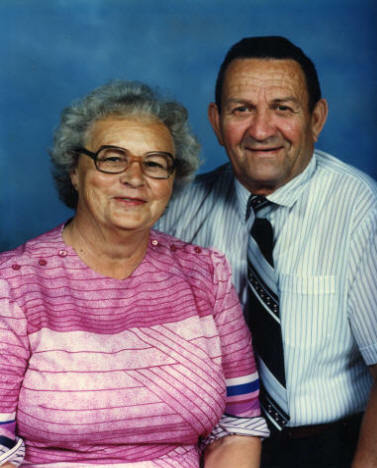 The time of death was listed as 5:30 p.m. As time passed, Helen tried to convince Floyd to adopt a child, but he said, "If the Lord wanted us to have a youngin', He'd have allowed them to keep one of their own". 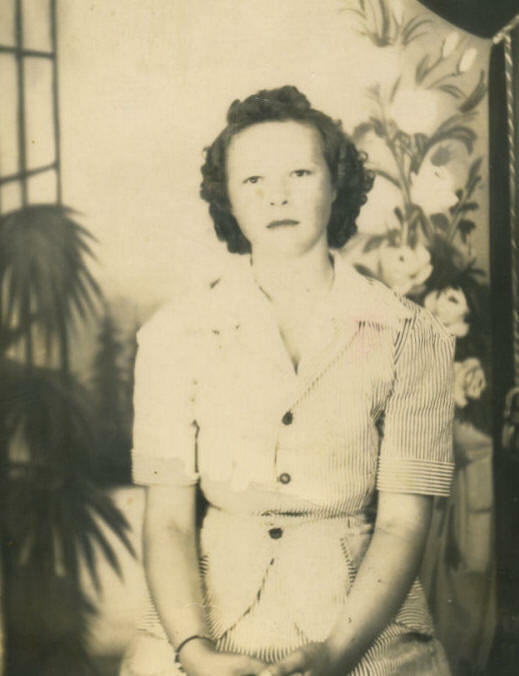 Helen excelled in Basketball while in school, but quit school to go to work. 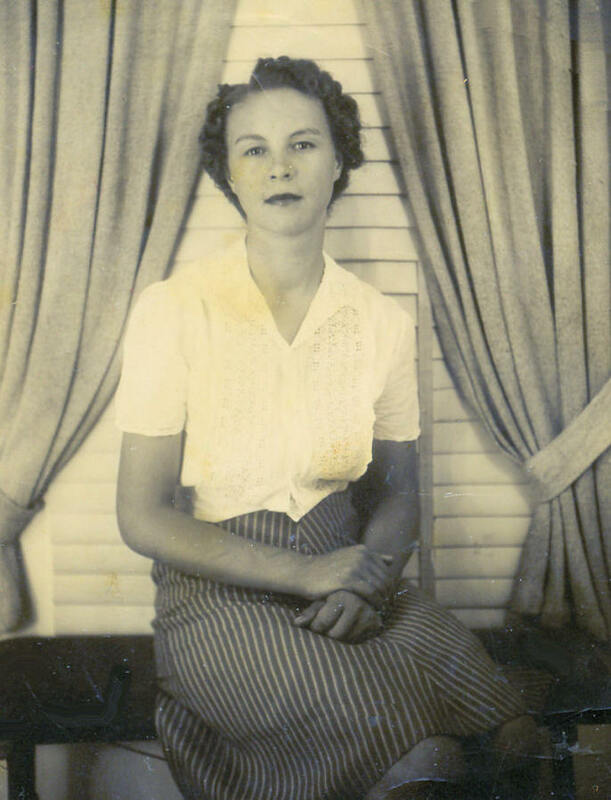 She spent many years "boarding socks" at several hosiery mills, but turned to furniture in her later years - working at Bassett Furniture in Newton, NC. 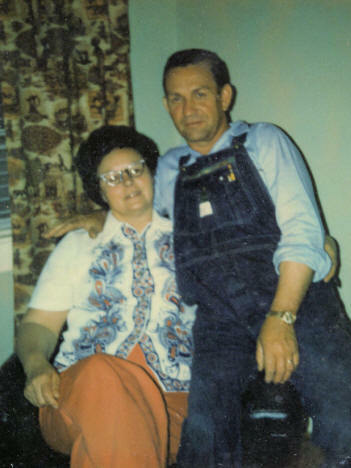 Helen and Floyd always had a big vegetable garden at their home on Route 2, Catawba. The size of their garden was not to be compared to the size of their hearts. 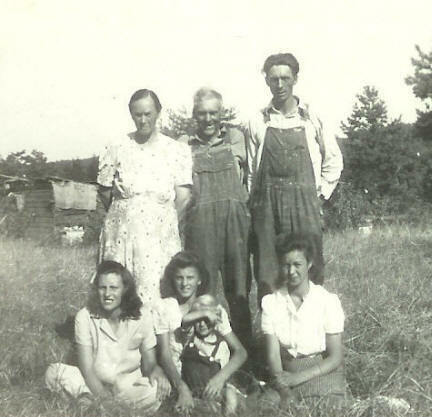 They always shared their abundance harvest with relatives and friends. 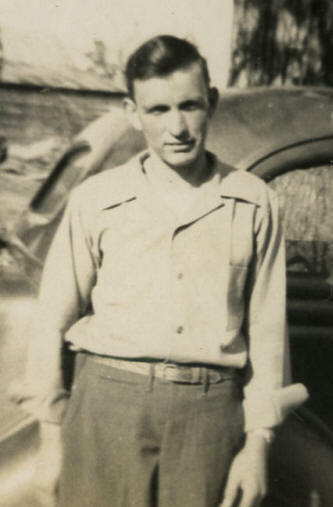 Floyd died 22 May 2005 in Catawba County, NC. 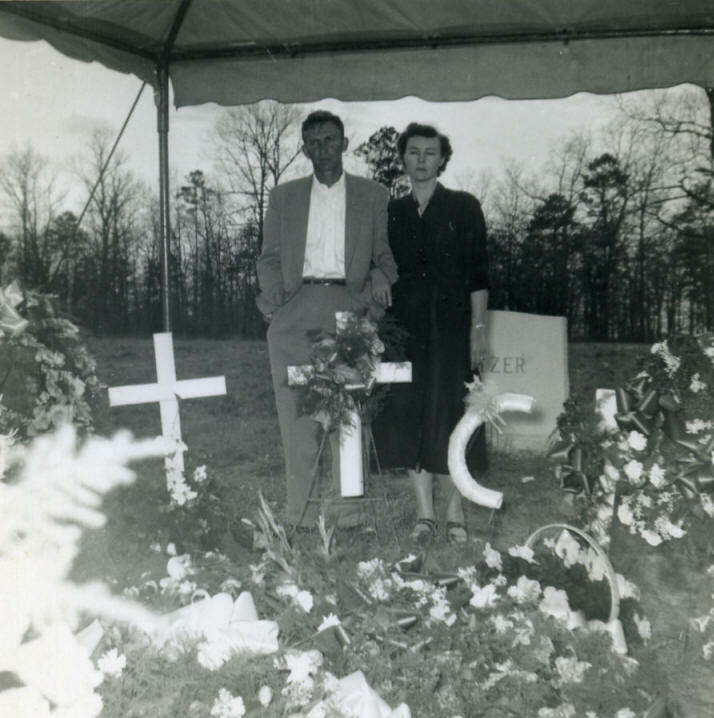 He is buried at Mathis Chapel Baptist Church in Catawba County. 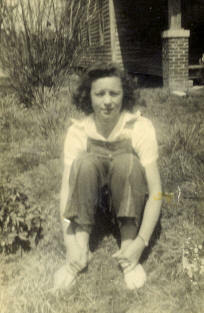 Helen spent her years after Floyd's death living at the Brian Center Assisted Living Facility in Hickory, NC. 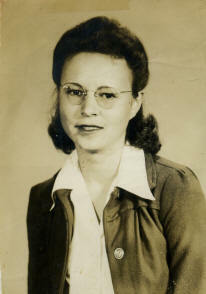 Helen died on Friday, 28 May 2010, at Brian Center in Hickory, NC - the day after suffering a stroke. 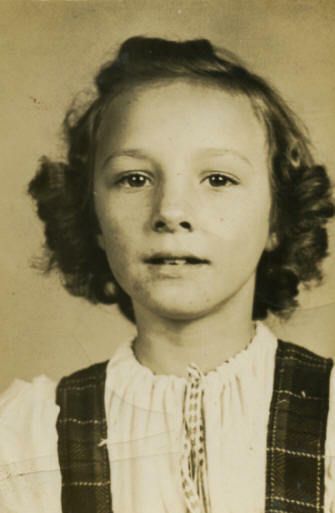 Helen was 86 years old. 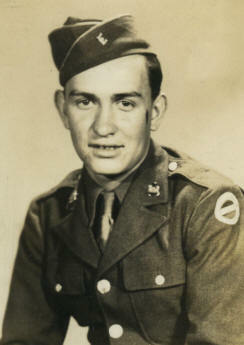 The funeral was Monday, 31 May 2010, at Mathis Chapel Baptist Church in Catawba, with Rev. Paul Schronce and Rev. Travis Triplett officiating. 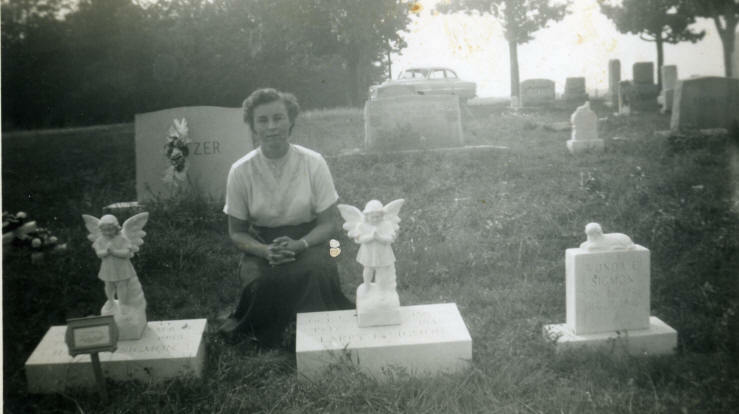 Burial followed in the church cemetery. 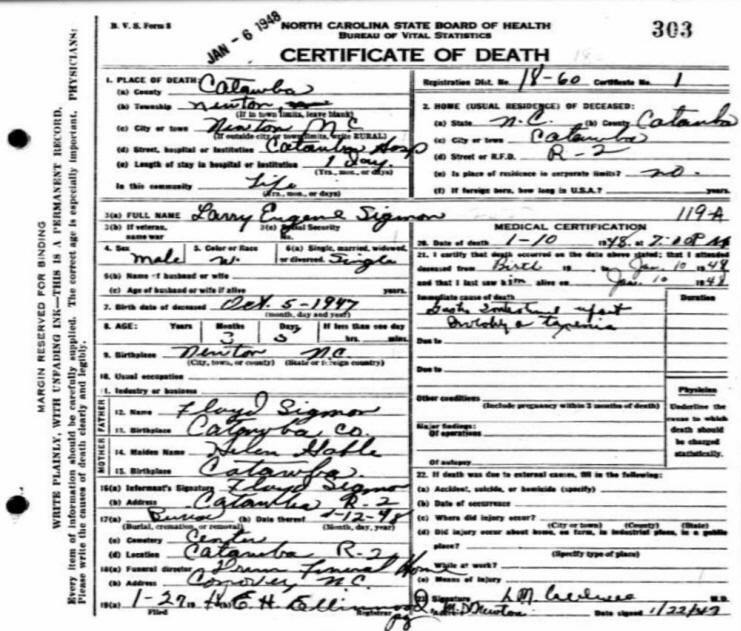 Helen was survived by two sisters, Willie Loftin, of Catawba, and Elgevia Eggers, of Maiden, NC. 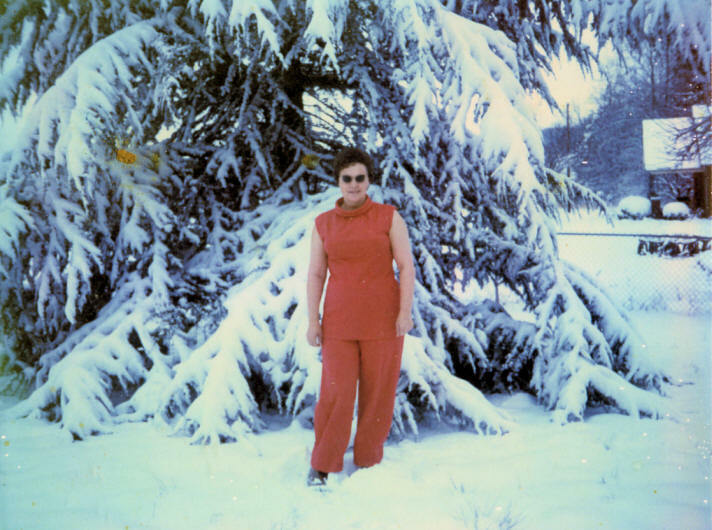 If you have additional photos or information on Mary Helen Goble, please contact me. 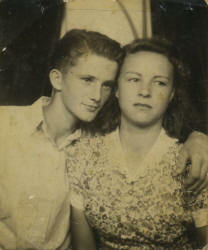 for the photos of Helen and her family.